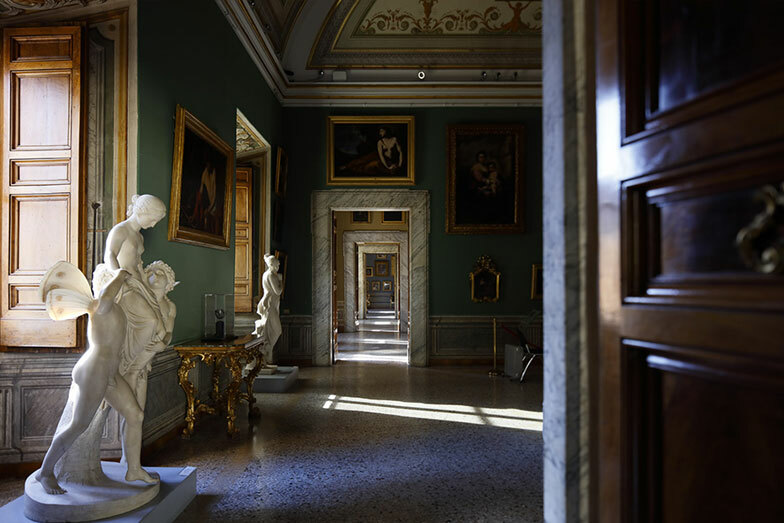 The history of Palazzo Barberini as a national museum, open regularly to the public, began in 1953 when the palazzo became the second venue of the National Gallery of Antique Art, along with Palazzo Corsini, where the Gallery had first opened in 1895. 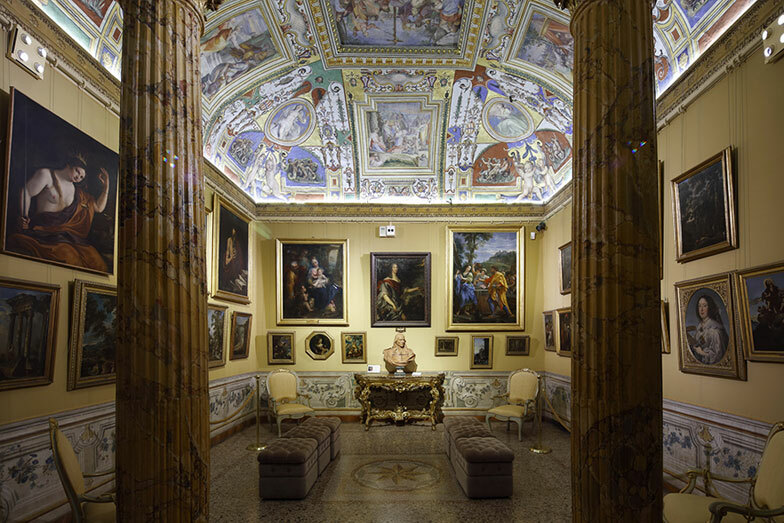 Over the years, the national collection on display in Palazzo Corsini had expanded through acquisitions and donations, like the collections of the Torlonia family and the Monte di Pietà in 1892, the bequest of Henriette Hertz in 1915 and the acquisition of the Chigi family collection in 1918. 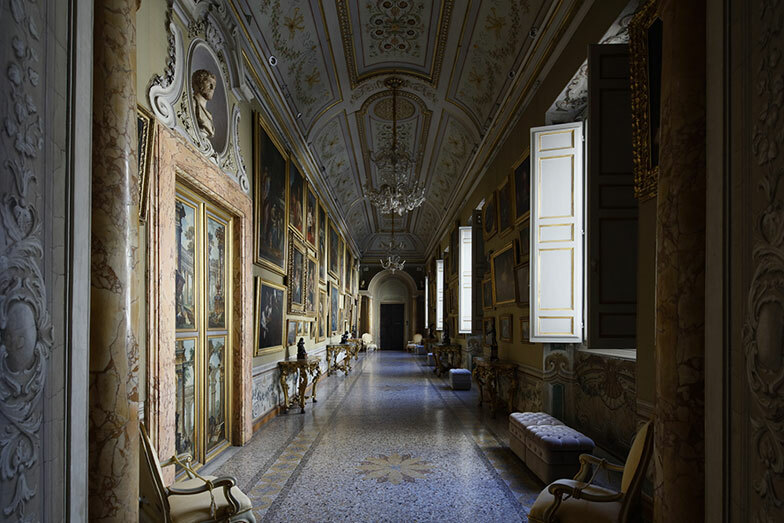 The growth of the collection made it necessary to find a new exhibition venue, and the choice fell on Palazzo Barberini. 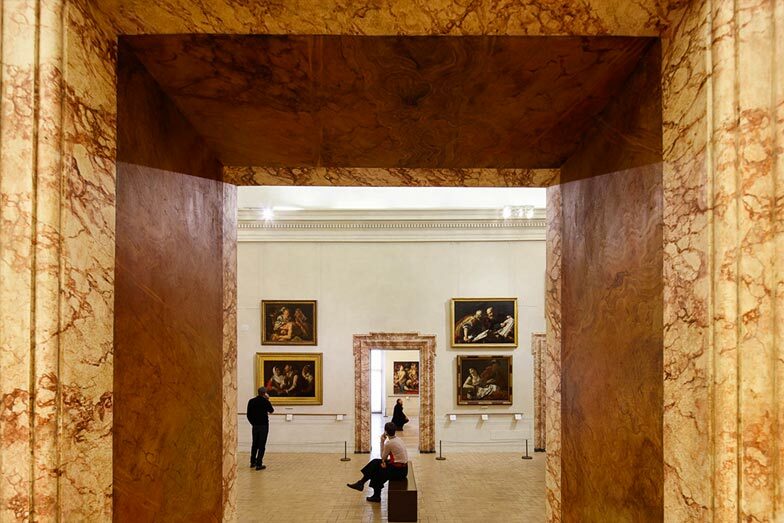 Unlike the paintings in the Galleria Corsini, little remains of the Barberini family’s original collection. It began to be dispersed in the 1700s, due to disagreements between the various branches of the family, and finally in 1934 a royal decree was issued allowing the Barberini family to sell a large part of their art collection abroad. The state, in return for permitting the sale – which could have been prevented by law – obtained a small number of paintings, identified by the letter “F” followed by the numbers in the inventory of the collection (for example La Fornarina, is labeled F1) (go to the masterpiece). 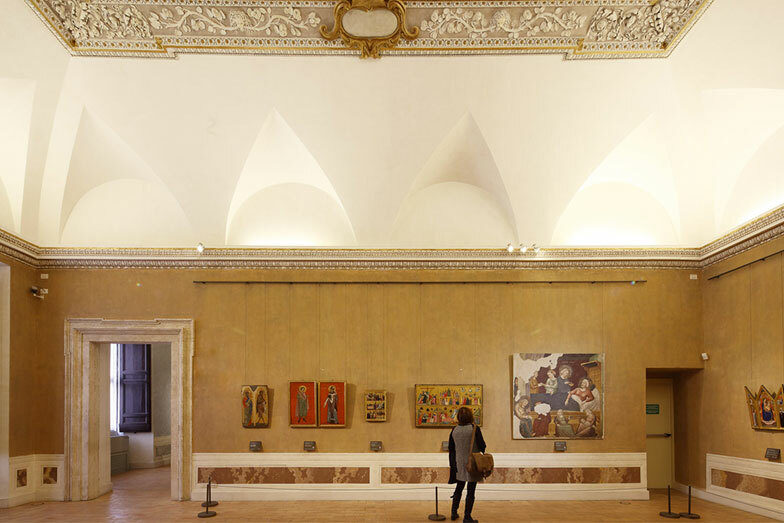 While the collection in the Galleria Corsini is still organized and displayed in keeping with the 18th century inventory, at Palazzo Barberini the display follows the development of the principal Italian schools of painting from the 1200s to the 1700s. 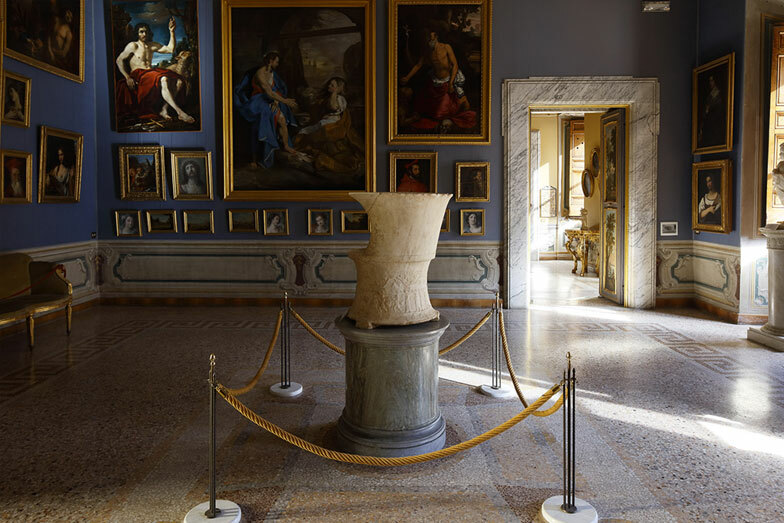 Unlike the historical display in the Galleria Corsini, at Palazzo Barberini the museum installation may be supplemented by new acquisitions or reorganized according to different criteria. The 1500s and 1600s are the centuries best represented at the Barberini, with works by Raphael, Piero di Cosimo, Bronzino, Hans Holbein, Lorenzo Lotto, Tintoretto, and so to Caravaggio and his followers. Dating from the 1600s are many extraordinary works by Gian Lorenzo Bernini, Guido Reni, Guercino, Nicolas Poussin, and Pietro da Cortona. The 18th century portion of the collection features important works by Maratti, Batoni, Canaletto, Subleyras, Mengs and van Wittel, in addition to the paintings donated by the Duke of Cervinara, – a group of exquisite Fragonards and Bouchers – and the Lemme donation, containing rare sketches by Corvi and Ghezzi. 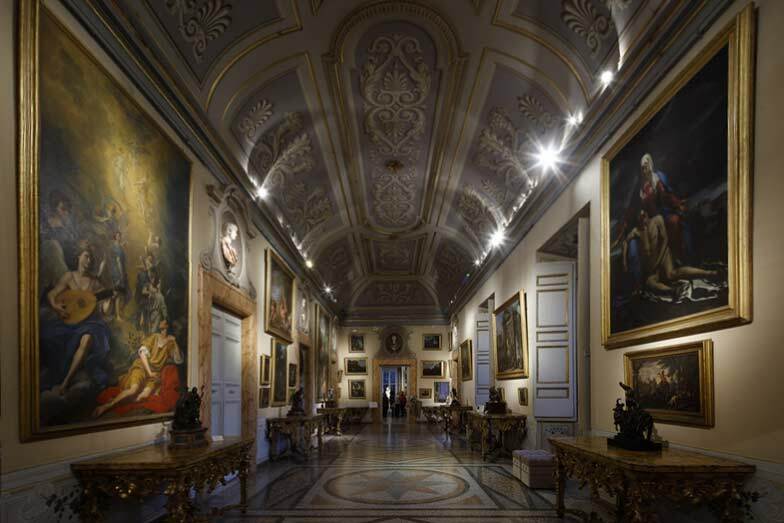 The Galleria Corsini is the only collection of paintings in Rome dating from the 1700s that remains intact to this day and is displayed in accordance with the exhibition installation dating from that period. This is because in 1883, when the palace was sold to the Italian state, Prince Tommaso Corsini donated the entire collection of artworks it contained. The Corsini collection was gradually expanded through contributions from various family members, starting with the earliest core of works put together in Florence by Marquis Bartolomeo Corsini (1622-1770). Following the Florentine example, the Roman branch of the family also displayed artworks in their residence, starting in the early 1600s. The collection today in the Galleria Corsini was created by Pope Clemente XII (Lorenzo Corsini, 1652-1740) and even more by his nephew, Cardinal Neri Maria (1685-1770). Neri Maria was an art connoisseur, with an expert eye for expanding the collection through the acquisition of works by Italian and foreign seventeenth-century masters (i.e. 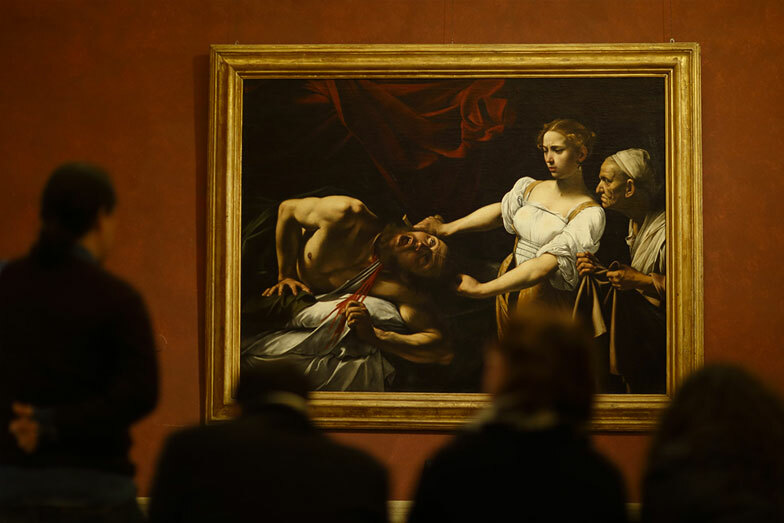 Caravaggio, Reni, Guercino, Rubens, and van Wittel), works by Italian artists from the 1500s and paintings by his contemporaries. During the 1800s, the collection was modified through sales and acquisitions reflecting the tastes at the time. After the sale of the palace and the gift of the collection to the Italian state in 1883, the original collection was further enriched thanks to the acquisition from the Torlonia collection in 1892, in anticipation of the opening of the first Italian National Gallery, housed in the Palazzo Corsini and opened to the public in 1893. In the following years, the collections from the Chigi family, Monte di Pieta, and Henrietta Hertz were added to the original group. After a few decades this much larger collection could no longer be housed in the limited spaces of the Galleria Corsini. 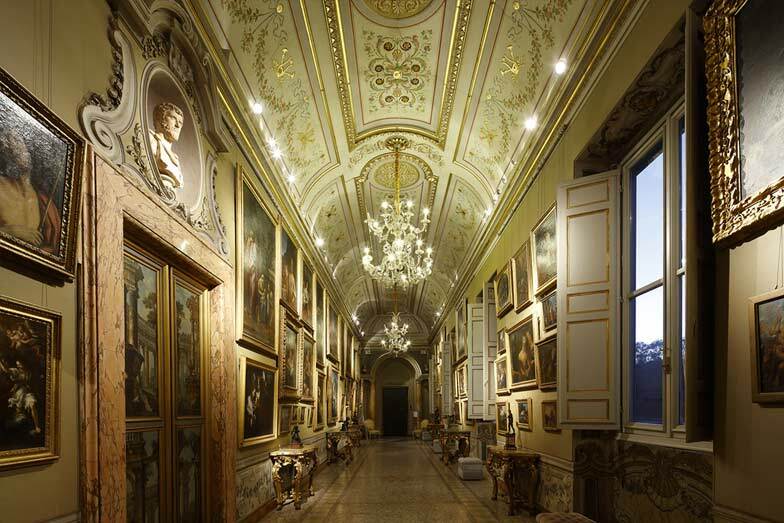 In 1949, the Italian state acquired Palazzo Barberini with the purpose of transferring the whole collection to it. 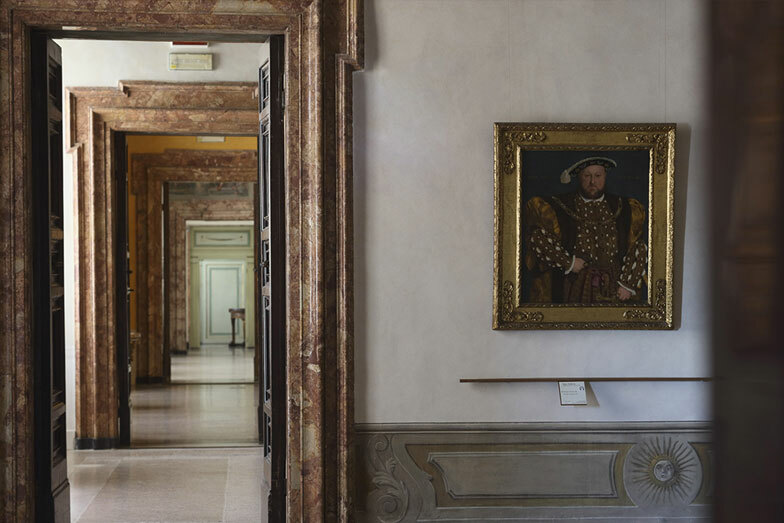 For the following thirty years the Galleria Corsini was progressively emptied, but In the 1980s it was decided to restore the original Corsini collection to its original home, leaving only the newer works acquired after 1883 in Palazzo Barberini. 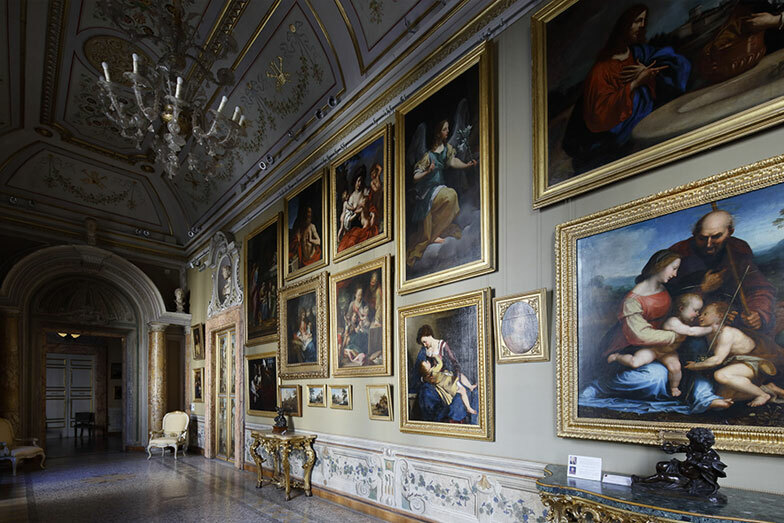 The current hanging of the collection reflects the 1771 inventory by Neri Corsini.